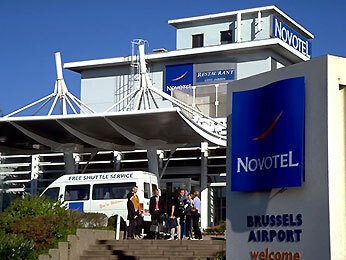 Set your bags down and unwind at Novotel Brussels Airport, a 30-minute train ride from the city centre. The free 24-hour shuttle connects you with the airport fast. Get your day off to a bright start with a delicious breakfast from the buffet in the airy restaurant or on the terrace – served from 6am for early fliers staying at Novotel. Within walking distance from the “Corporate Village” in Diegem/Zaventem. Drop your car at the hotel and go on holiday hassle free. Meeting room of 25 m², can accommodate up to 6 people in Boardroom only. Daylight. Standard equipment: 2 flipcharts, flatscreen TV, water, candy and paper with pencil.